Home > Design > How do I embed YouTube videos? Q.How do I embed YouTube videos? 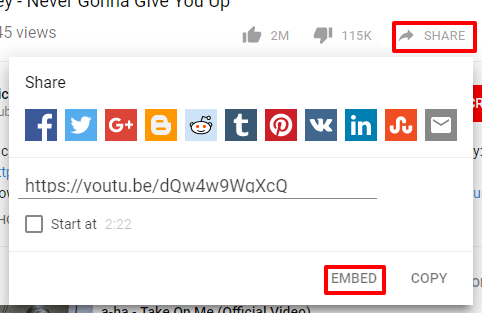 You have two options for embedding YouTube videos. The first option is limited to the item description page, where you can embed a YouTube video with a simple link. 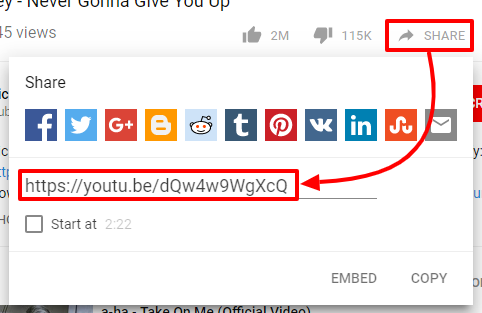 Navigate to the YouTube video you wish to embed and get the link from the address bar or by clicking on the Share button. Paste this link in the YouTube field of the item description page (found at Inventory → Item list, and clicking on either (Edit) or (Add item) buttons). This will embed the specified video on the item description page just below the item description, with a set width and height depending on your design template. 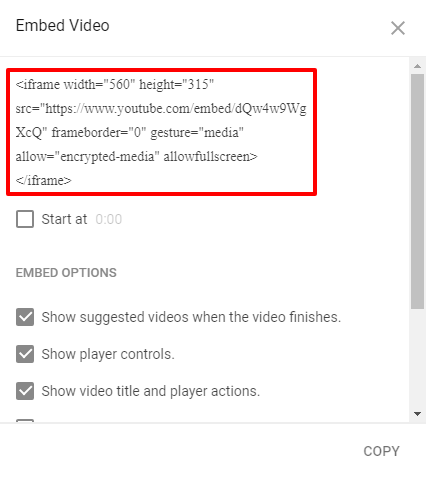 If you wish to embed videos with other settings or in other places, you can also embed YouTube videos using HTML. To do so, click the Share button on the YouTube video page as above, and click Embed to get the HTML code for embedding a YouTube video. Copy and paste this in any HTML-enabled box in your Shop Manager to embed the video there. By default, videos embedded using this HTML code are displayed with a width of 560 pixels and a height of 315 pixels. You can change the size by editing the numbers in the width="560" and height="315" parts of the code. Videos from other video sharing websites, such as Vimeo, can also be embedded in similar ways.